While you are visiting Madrid, don't miss the chance to know some of the main attractions with this two-in-one tour. 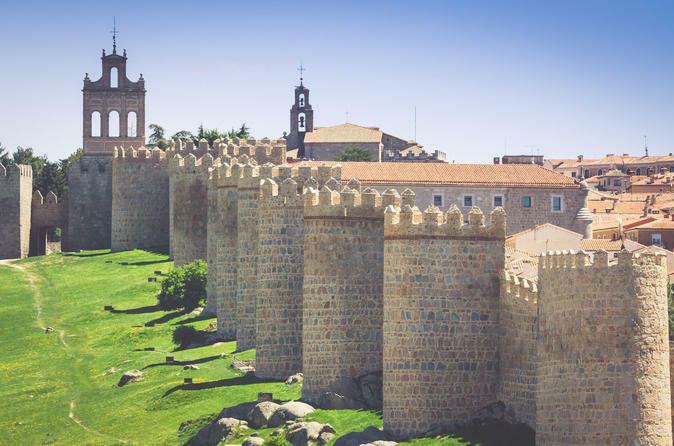 Get to know Avila and Salamanca. Also, take a walking tour in Madrid and discover the main attractions in the city center. The walking tour will start at the iconic Plaza Mayor. The Plaza Mayor is located in the center of Madrid, a few meters from the square of Puerta del Sol, and close to the High Street. Equally fascinating is Puerta del Sol, the Metrópolis building, the Cibeles, the City Townhall or the Puerta de Alcalá. You will finish the tour at Retiro Park, where you will have some free time to enjoy it on your own. Schedule on a different day you will start the tour to Avila and Salamanca at Salamanca, you will have the opportunity to visit the patrimonial legacy with innumerable corners and details. Get to know the Plaza Mayor of Salamanca, which is characterized by its impressive baroque ornaments with details.. You will also have the chance to know the Cathedral. You will spend 3 hours in Salamanca before leaving to Avila. In Avila you will get to know the ramparts of Avila, San Vicente Shrine and the Cathedral. Spend time on your own and time with a guide to complete this amazing experience.